The Kissimmee-St. Cloud Games have not been played in the last couple of years, but it was obvious from the excellent turnout that the pickleball players were very glad to have them back on the schedule. 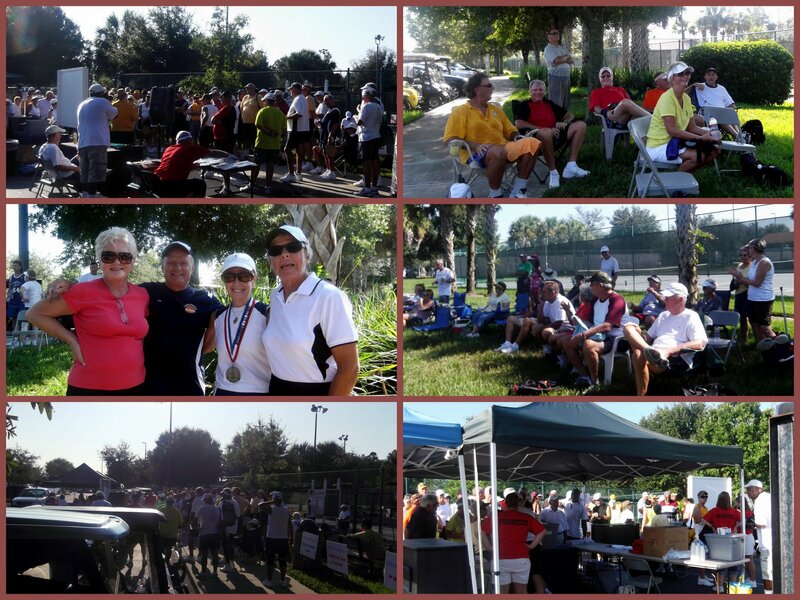 The pickleball event was held on Monday and Tuesday, September 12th and 13th on the beautiful courts of Solivita in Poinciana, FL. Compliments to Tournament Directors Mike Holtzclaw and Tom Leva for a very well organized and well run event and to the Solivita Smashers who manned the food tables and score sheets and made everyone feel so welcome. Players arrived surrounding counties, and far away states, including; Kissimmee, Sebring, Ocala, Lakeland, Summerfield, Davenport, Hernando, The Villages, Sun City, Leesburg, Ocoee, Ft. Myers, Lecanto and Wimauma Florida. Out of state players arrived from Morgan City and Rayne, LA and Darien, IL. 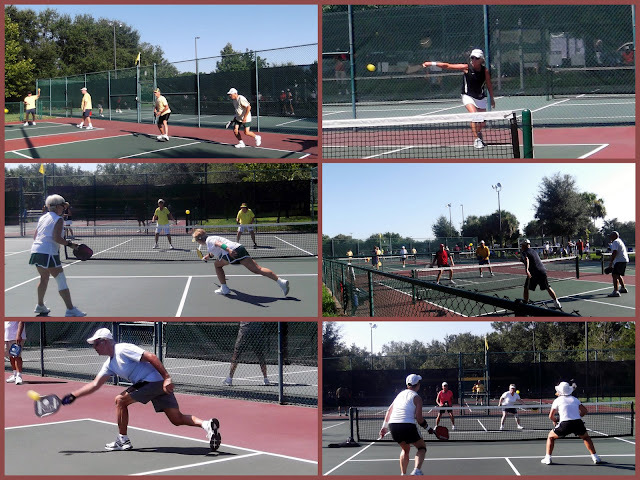 Some of the the very best players competed in the two day event which included a single elimination age bracket competition for Mens' and Ladies' singles and doubles on Monday and mixed doubles on Tuesday. Players ranged in age from 50 to 93 and pictured below is 93 year old Gold Medal Singles Winner Don Bellinger and (80-84) Gold Medal Winner, Tom Hylas, both of Kissimmee. Click Here for photo gallery of the games.